Your comprehensive source of information on using behavioral technology to improve safety and performance. Sign up to have new articles delivered straight to your inbox! 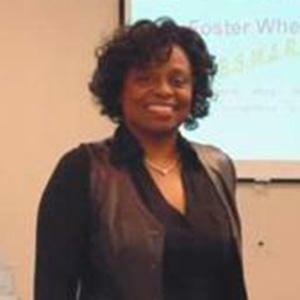 Donna Armstrong is our Safety Champion at Foster Wheeler in Houston, Texas. Foster Wheeler, an engineering and construction company, began designing their BSMART (Behavioral Safety Management and Recognition Techniques) process in 2006 during a period of rapid expansion for the company. Donna has been invaluable to the company’s challenging implementation process from the start. Nora Buchholz, Safety Manager for Western Energy at The Rosebud Mine, near Colstrip, Montana, is a true Safety Champion. Implementing the Values Based Safety Process at a large surface coal mine has proven to be both incredibly challenging and rewarding for Nora. The mine operates 24-hours a day, with four rotating shifts of employees. 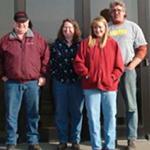 Mary Lee and Licia Lee are both Administrative Assistants at Devon Energy Gas Services in Bridgeport, Texas. Mary and Licia have both been integral in the development, continued maintenance, and improvement of the organization’s Values-Based Safety Process™ (VBSP) called S.A.F.E. (Safe Actions For Employees). Elwood “Woody” Hamilton works in the electrical utility First Line Response department for ENMAX Power Company in Calgary, Alberta. He is currently serving as chairperson of the VBS Steering Committee for his department for the second time. Woody’s initiative and innovative contributions have been a major factor in the development of a thriving VBSP at ENMAX.